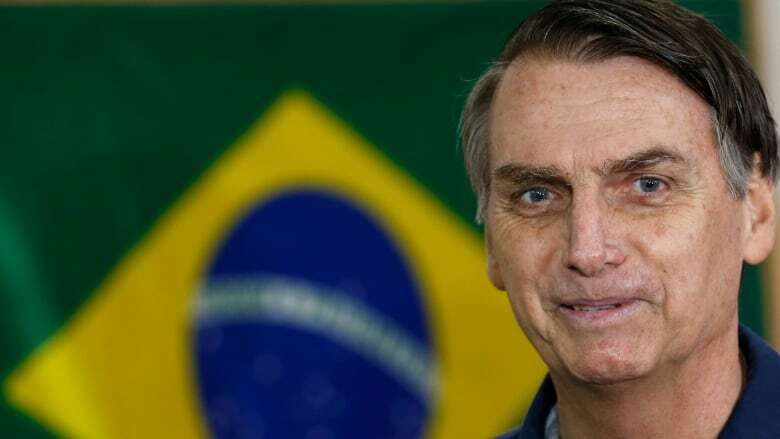 A far-right former army captain who expresses nostalgia for Brazil's military dictatorship won its presidential election by a surprisingly large margin Sunday but fell just short of getting enough votes to avoid a second-round run-off against a leftist rival. 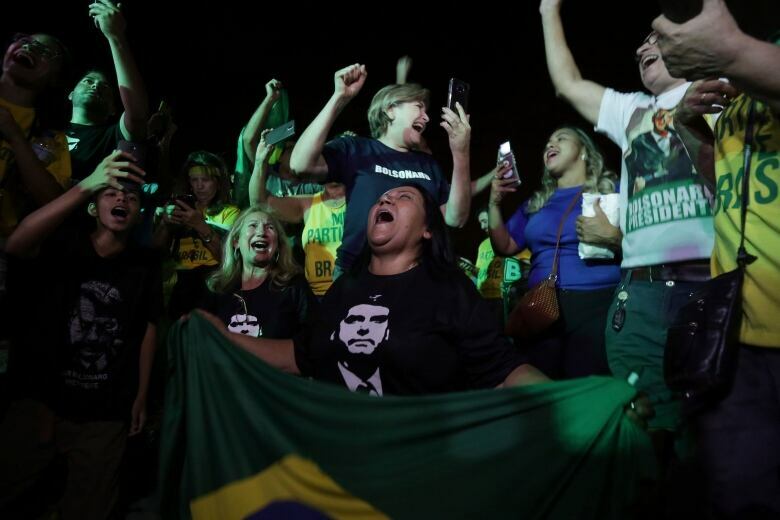 Jair Bolsonaro, whose last-minute surge almost gave him an electoral stunner, had 46.7 per cent compared to 28.5 per cent for former Sao Paulo Mayor Fernando Haddad, Brazil's Superior Electoral Tribunal said after all the votes were counted. He needed over 50 per cent support to win outright. Bolsonaro has portrayed a nation in collapse, where drug traffickers and politicians steal with equal impunity, and moral rot has set in. He has advocated loosening gun ownership laws so individuals can fight off criminals, giving police a freer hand to use force and restoring "traditional" Brazilian values — though some take issue with his definition of those values in light of his approving allusions to dictatorship-era torturers and his derisive comments about women, blacks and gay people. Revelations of suitcases of cash, leaked recordings of incriminating exchanges between power brokers and the jailing of some of the of the country's most powerful people, including former president Luiz Inacio Lula da Silva, unfolded like a Hollywood script — and then became one: Netflix released a barely fictionalized account of the probe this year. 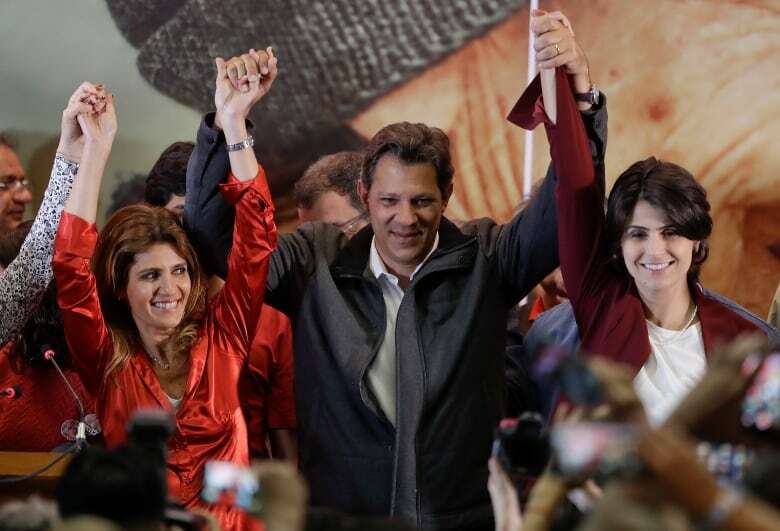 The Workers' Party was at the centre of that investigation, and it has struggled to stage a comeback with Haddad, who has portrayed a country hijacked by an elite that will protect its privileges at all costs and can't bear to see the lives of poor and working class Brazilians improve. Haddad has promised to roll back President Michel Temer's economic reforms that he says eroded workers' rights and increase investment in social programs. The Workers' Party, meanwhile, pushed the narrative that a vote for Haddad would be a vote to bring back the boom years that Brazil experienced under the leadership of da Silva. On the eve of the election, da Silva tweeted: "Reach back into your memory, remember what my eight years of government were like." Bolsonaro's poll numbers have increased by about 15 per cent since he was stabbed Sept. 6. He was unable to campaign or participate in debates as he underwent surgeries during a three-week hospital stay, but instead brought messages directly to voters via Facebook and Twitter. 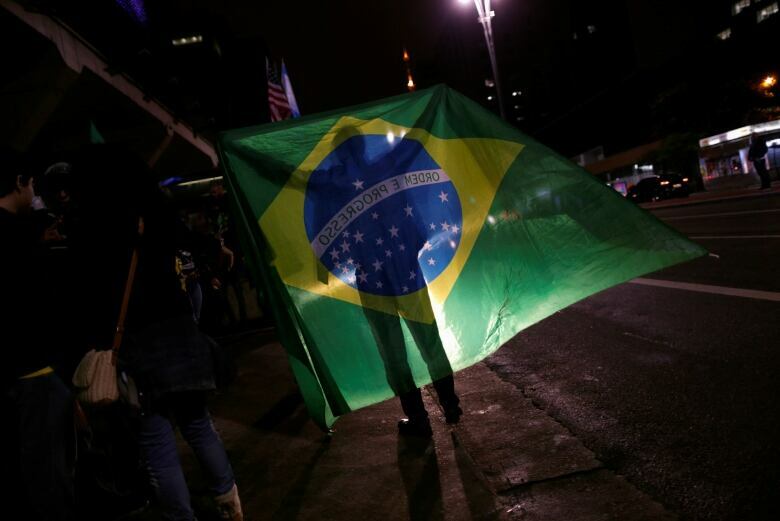 "For a front-runner, the best thing to do is commit as few errors as possible," said Andre Portela from Getulio Vargas Foundation, a leading university and think-tank . "Getting stabbed helped Bolsonaro in that. He wasn't exposed to debate, to people questioning him." This election was once seen as the great hope for ending a turbulent era in which many politicians and business executives were jailed on corruption charges, a president was impeached and removed from office in controversial proceedings and the region's largest economy suffered a protracted recession. 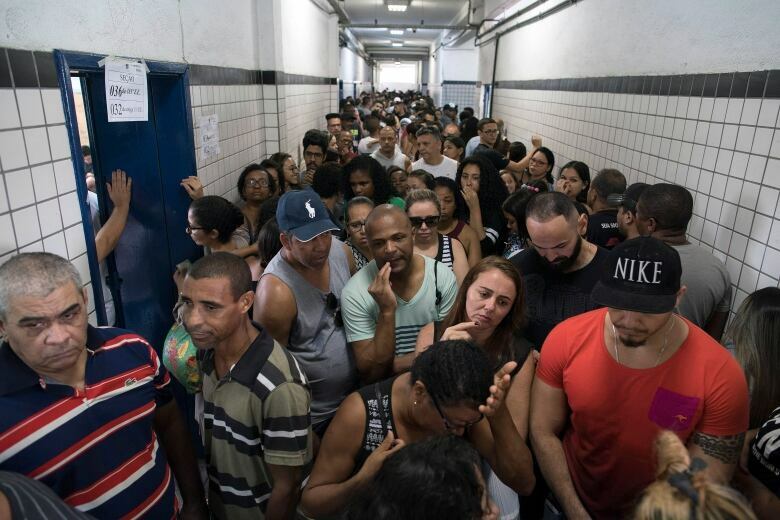 "I think we're going to continue with the same polarization," if either Haddad or Bolsonaro wins, said Victor Aversa, a 27-year-old massage therapist who voted for centre-left candidate Ciro Gomes, who had been polling third. "We've been on this path of crazy bipolarity. Haddad and Bolsonaro will both lead populist governments."